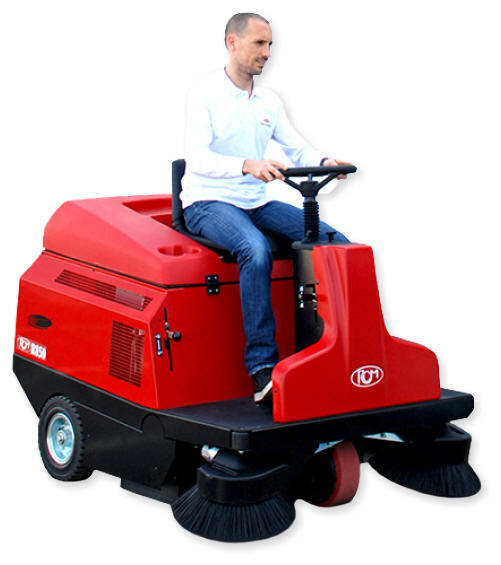 R 850 is the biggest ride on sweeper with manual dump in the market, for heavy duty and professional use. Big: the large sweeping width allows a great productivity. Robust: made in stainless steel with high quality components. Efficient: because it has the same productivity as machines from an higher category. Easy to use: it’s ideal for the heavy jobs even in large surfaces.